I’m an adult beginning on the violin and it’s been a rollicking adventure, chronicled here. The concerto is enigmatic in a variety of ways. 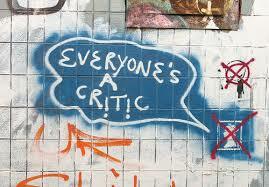 From its earliest days, it was dismissed as fatally flawed, the product of a declining mind. And not by the public but by Schumann’s closest associates. Violin virtuoso Joseph Joachim gave the score a run-through and privately expressed his concern to Clara Schumann and Johannes Brahms, who all agreed they’d be acting in Schumann’s best interests to stash the unpublished, unperformed concerto deep in a drawer. (By now he’d checked himself into an insane asylum where his mental state was in rapid decline.) 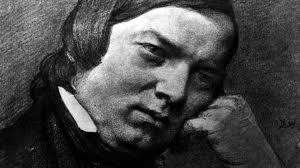 Best to let it sit for 100 years before letting Schumann be judged harshly for what they perceived as weak writing. Lest we now judge them harshly, it should be pointed out that it’s not a flawless work of music. It’s more orchestral than violin concerto-oriented. It’s difficult for the player, and yet, paradoxically, not terribly virtuosic, aside from the wide-ranging arpeggios better suited for a piano/pianist than a violin/violinist. 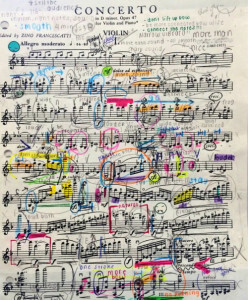 The third movement repeats simple thematic passages far too many times. But I’ll argue that it’s still a charming, spirited movement. And nothing beats the concerto’s second movement with its aching beauty, imbued with something ephemeral, mystical. Indeed, the concerto’s presence, its resurfacing back in the 1930’s is steeped in the mystical. Joachim’s great-niece, Jelly d’Arányi, herself a brilliant violinist, claimed to have learned about the concerto’s existence only through a séance and contact with the spirit of her great-uncle and/or Schumann himself. But that’s a story in itself, which you can read in that other blog I wrote. Let’s return to 2017 and the San Francisco Symphony, last Sunday afternoon, where German violinist Veronika Eberle delivered a gorgeous, transcendent rendition of the concerto. Wow, the rich, evocative sounds she pulled from her instrument (the 1700 “Dragonetti” Stradivarius on loan from the Nippon Music Foundation.) I loved everything about Eberle’s performance, the way she articulated and emphasized certain notes so beautifully. The sound reminded me of birdsong, the way so many different colors and textures are revealed, coaxed out of the instrument (or the bird’s throat). 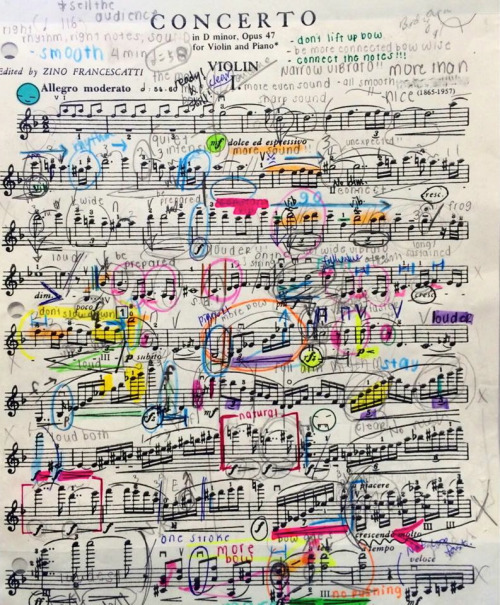 That’s what makes this concerto rather tricky, in my mind. 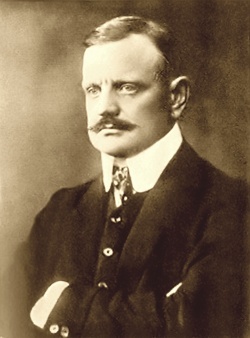 If a violinist can’t conjure all those voices–querying, tremulous, plaintive, yearning, demanding–then the concerto becomes, as its critics will argue, meandering, repetitive, overly orchestrated. Speaking of orchestras, I must share how much fun it is to watch this concerto being performed live when you’re used to only hearing a recording. Like the Beethoven Violin Concerto, Schumann’s work features a great deal of interplay with the orchestra throughout. It was fun to watch. I was able to observe and hear an intriguing dialogue between the soloist and the principal cellist (Michael Grebanier) in the second movement, that I’d never realized existed. It was so beautiful. The entire second movement was simply transcendent. I so appreciate that the twenty-six-year old Eberle chose to perform this concerto for her debut with the San Francisco Symphony, in lieu of one of the better known works of the violin repertoire. The kind performed over and over and over: Tchaikovsky, Brahms, Mendelssohn, Beethoven, etc. Mind you, it’s not that I don’t love these concertos. It’s just that the Schumann Violin Concerto is uniquely lovely and needs to be championed. The audience on Sunday afternoon didn’t give Eberle the rousing ovation she deserved, and I wonder if it was because they didn’t know what to make of this “quieter” or admittedly different concerto. She certainly deserved it, after pouring her heart, energy and considerable talent into it. I give her top marks across the board. 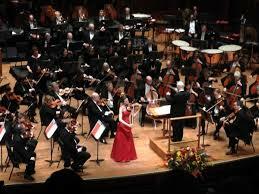 And kudos to the musicians of the San Francisco Symphony and guest conductor Roberto Abbado. It takes a team effort to make it all come together. I can’t share with you what I heard on Sunday afternoon, of course, but here’s one of my favorite recordings of the Schumann Violin Concerto, performed by Gidon Kramer. Don’t miss out on the second movement; it starts at 15m30. It’s mystical. This entry was posted in Classical Music, The Violin and tagged Clara Schumann, Dragonetti" Stradivarius, Jelly D'Aranyi, Joseph Joachim, Nippon Music Foundation, Robert Schumann, Roberto Abbado, San Francisco Symphony, Schumann Violin Concerto, Veronika Eberle on May 25, 2017 by admin. So. You’re thinking of buying a violin, making this big step. Exciting times, huh? 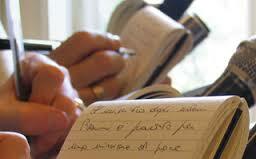 Or are you rushing the decision and not giving it quality thinking time? How about a quick reality check from The Classical Girl before you take the plunge? Are you in love with the violin and its playing potential, or how it looks? Have you had a luthier or other trusted professional look at it and offer their opinion? Are you too caught up in the price (a bargain! ), or the country of origin, or the century it was made? 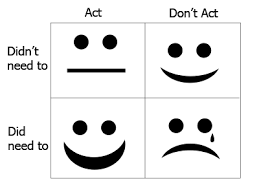 Are you super-excited, but not so excited your judgment is getting clouded? Has your teacher heard you play it? Have you heard your teacher play it? 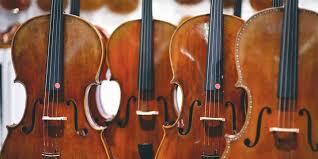 Have you done a blind test with aforementioned teacher, comparing it to at least two other comparable violins? 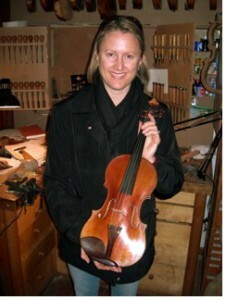 Here’s my own Big Violin Acquisition story, first published at Violinist.com in 2006. Three violins sit in my guest room. I can feel them throbbing, giving off invisible energy in their respective cases, like radioactive material. At least one of them will go back to its shop on Monday. One will most likely remain and take my $200 student violin’s place. I’ve sampled roughly forty violins in the past five months. One, three months ago, made my heart catch: a late 19th century Stainer copy, Czech, with that battered, scratched look I find so intriguing. A look that tells me it’s been Somewhere. It has a story to tell. Just what I’ve longed for. But, at $2200.00, it’s a bit over budget. My instincts (and a clerk at a competing shop) tell me it is overpriced. The workmanship shows flaws and it will need some touching up. But it has continued to tug at my heart and beat out competitors I’ve introduced as I’ve made my rounds to music shops in San Francisco, Santa Cruz, Berkeley and San Jose. I’m in no hurry to buy. I told myself it would be a year-long process. My goal has been to visit a half dozen shops and listen to at least 50 violins before embarking on any sort of decision. The queen bee, the Czech violin, located in the Santa Cruz music store where my lesson takes place, has been hanging in the shop for some time now. I’ve told myself if it was meant to be, it will wait for me. It has. Last Monday, a breakthrough in the fifth shop—a Palo Alto store that specializes in guitars. Low expectations from the start. The first violin the clerk hands me seems equally unassuming. A new violin. Romanian. With a budget of 2K, I have little interest in testing an $850.00 violin. “Trust me,” the man says. I trust him. Damn. He’s right. A feeling of quiet excitement descends over me. But wait—my heart is set on something old. Yes, I tell the clerk, I realize the new ones, particularly those Chinese-made ones, generally cost less and sound better than their elders. Much better. But they have no story, no soul. The clerk nods and brings over another contender—a German 1930 Strad copy, at $1880.00. Nice. Big sound, clear tone, much like the Romanian. This, then, might be the best compromise. Thirty minutes later, I hear myself asking the clerk what their policy is on taking out two violins. Wait. I’m not ready to advance to this level of commitment. Am I? Because I sense Something is about to happen and there will be no turning back. 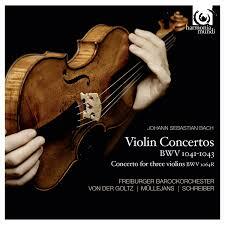 The test during my violin lesson the following day—Czech queen bee meets the contenders—is objective and unbiased. My eyes are shut as my teacher hands me one violin after another to play. Deprived of my vision, my other senses leap around. Feels nice in my hands. The tone—wow, it’s clear. This one, not so much on the G string. Sweet E strings, all of them. The bow skitters a bit on that one—must be the higher bridge. But which one is my queen bee? Damn. I’m not sure. Next, my teacher plays all three, while my eyes remain shut. Ooh. What a sound, soaring from that first violin. And on that one, as well. This one—it’s the German, for sure. And the other one with the slightly muffled G string—that must be the queen bee. I feel a pang of disloyalty. I realize I’m not rooting for the queen anymore. The results after thirty minutes of this are comically mixed. I have ranked all three as first at one point or another. My teachers confesses that she, too, can’t name one clear winner. “I don’t think you can go wrong with any of these,” she tells me. My heart is in turmoil. The test has done its dirty work. Could I possibly justify paying so much more for an older Violin With a Story? The painful truth: the story has no bearing on the sound. The second painful truth—when my eyes were shut, all three violins sang to me. “Want to know the prices?” I ask my teacher as I pack up. And here we are, in 2016, ten years later. Happy Anniversary to my sweet little Romanian friend. Want more tips on buying a violin? Here you go! Don’t ask a non-violin person to help you decide; seek out your teacher’s advice. Don’t get snobby about going to a violin-only shop. I found my winner at a guitar store. Don’t rush a decision. Sleep on it. Wait one more week. Be honest about the violin’s condition. An old one can feel much more exciting to hold but it might not be in the best shape, and might cost you hundreds more in repairs in the long run. After all the above has been said, go with the one that makes your heart race and sounds the best to your ears. And when that’s two different violins? Well, trust your gut instinct. This entry was posted in 10 Things, The Violin and tagged 10 things to consider before buying a violin, buying your first violin, testing violins before buying on September 17, 2016 by admin.